While All Star game participation is not the best indication of a winning team, it’s pretty safe to say that when 1/5th of your team’s roster is heading there, they’re probably in good shape. It’s an even better indication when the manager is joining in on the festivities. Joc Pederson – In light of the Dodgers’ most common batting order this season, it seems appropriate to leadoff with Joc here. Normally, a rooking hitting .230 with 105 strikeouts would not be the starting centerfielder of the All Star game, if he’d be there at all. But Joc Pederson is not a normal rookie. Already one of the better defensive centerfielders in Los Angeles Dodger history, along with already being one of the best defensive centerfielders in baseball today, Pederson has anchored an outfield that has needed anchoring for YEARS. His game-saving plays have become regular features on sports highlight shows, as have his Mantle-esque, tape measure home runs. Pitchers have adjusted to him in recent weeks, and he will need to adjust back. For now, though, he has a tailor-made swing for the Home Run Derby, which should serve him far better than it did for his talented but miscast Dodger predecessors, Matt Kemp and Yasiel Puig. Yasmani Grandal– I’m not going to lie. Had you asked me on Opening Day who would be the least likely Dodger to end up in Cincinnati this week, I’d probably go with this guy. Originally drafted BY the Reds as one of the most promising catching prospects in baseball, Grandal was sent to San Diego as a centerpiece of the Mat Latos deal, where he had a very successful rookie campaign in 2012. Then, he got busted in the Biogenesis scandal, tore up his knee, and seemed destined for MLB’s scrap heap. Fortunately for the Dodgers, Andrew Friedman and company saw something there that a lot of us didn’t.After a slow start offensively, Grandal hasn’t looked back since early May, often being among one or two other guys doing ANYTHING in the Dodger lineup, through some rather lengthy team slumps. But as valuable as he’s been at the plate, his game calling behind the plate is what really sets him apart, drawing praise from none other than fellow All-Star Zack Greinke- not a guy who hands out compliments very easily. His pitch framing abilities have been widely praised amongst the sabermetrics community, and his rate of throwing out runners has improved dramatically from last season’s campaign. If “Yaz” can keep up this pace throughout the remainder of the season, he will not just be an All Star- he will be Comeback Player of the Year. Adrian Gonzalez– As of right now, it’s a bit of a stretch to say that Gonzalez has had a Hall of Fame career. However, he has consistently put up numbers that quietly guarantee he will, at the very least, be on a Hall of Fame ballot. A blockbuster trade by the Dodgers that drew lukewarm praise at the time, also being criticized as too costly to be worth the price, Gonzalez is the only player on EITHER side of that trade, still making key contributions to his team. (No disrespect intended to Carl Crawford, who has been sidelined most of the season.) But not only has he been valuable, he been exactly the player whom the Dodgers envisioned since day one- a steady, middle of the order “gap power” threat, with steady, occasionally spectacular, defense at the corner. Moreover, though he is a mild-mannered guy, he turns up the intensity when necessary, such as when he nearly dove into the stands in the 9th inning of today’s win against the Brewers, narrowly missing a game ending catch. He leads by example, and neither apologizes, nor makes excuses, when things don’t go the Dodgers’ way- just calls it as he sees it. Though he has put on way more different uniforms than a player of his caliber ever should, even in the era of free agency, he will hopefully end his career one day, in the Dodger uniform that he wears now. 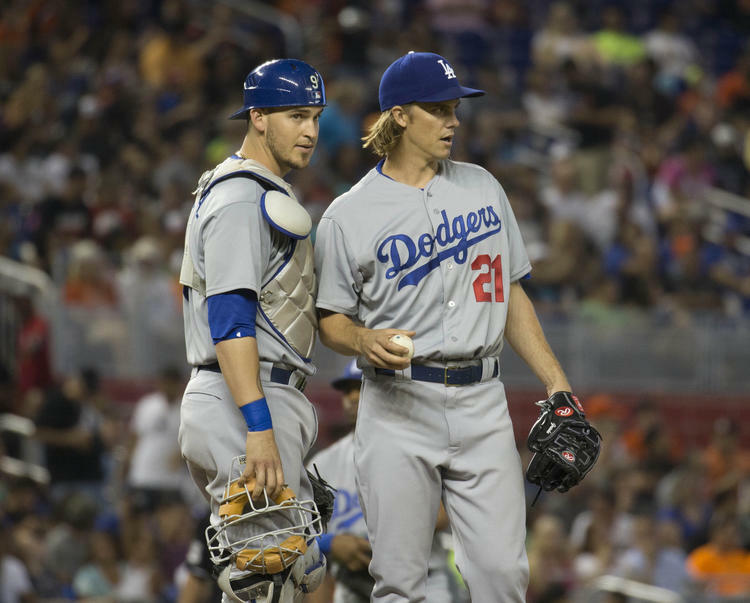 Zack Greinke– Okay, we’re done with the warmup act. Now, we can get to the headliners. Look, we all know how important the three Ohio-bound position players have been for the team, but ten years from now, no one will look back at any of their numbers and say, “Now THAT was a season to remember!” The same cannot be said of the Dodgers’ two phenominal aces, anchoring not just their own team, but the entire National League. When one thinks of the Los Angeles Dodgers historically, one thinks of starting pitching, and that has rarely been more true than this season. If Zack Greinke isn’t starting the game on Tuesday, Major League Baseball will need to open an investigation. Incidentally, many of the same things said about Adrian Gonzalez can be said about Zack Greinke. Among them, he’s not Hall of Fame bound (yet), but is certainly Hall of Fame ballot bound. He was signed in a deal with measured praise at the time- an upgrade who supposedly wasn’t worth the price, when in actuality, it has been a bargain. Also similar to Gonzalez is his quiet determination- not a very animated guy, to say the least, but as fierce a competitor as one can imagine. (Note the way he takes his at-bats.) And finally, like the Dodger first baseman, Zack Greinke has changed teams far more than someone of his ability should. On almost any other team, someone of this description would be an Opening Day starter. But not the Dodgers, because of the next guy. Clayton Kershaw– Much as it was appropriate to start this player list with Joc Pederson, it’s appropriate to save the best for last, ending it was Clayton Kershaw, as he was the last person to be added to the National League squad, somehow. It’s an annual tradition for a successful fanbase’s team to seethe about their guy(s) getting snubbed, but Dodger fans were primed for once-in-a-generation, next level outrage. I’ll be honest- on some level, I was kind of looking forward to it! The very idea of the Giants’ skipper, so publicly snubbing the best pitcher in baseball (even if that wasn’t his intention), was going to make a fun narrative for years to come. 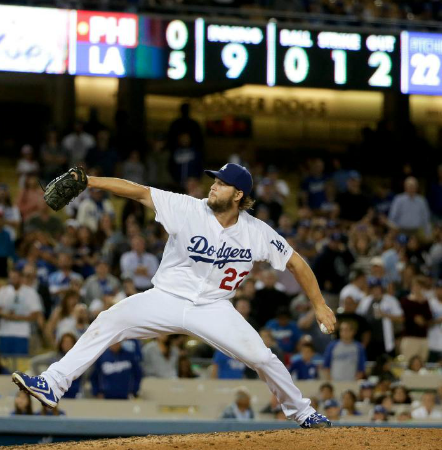 Now, we have Kershaw, making another ho-hum mid-July appearance, something that he might not have even wanted to do! (We’ll never know.) But regardless, if you’re going to leave off someone who is both the reigning Cy Young AND MVP winner, you’d better have a really good reason to do so. Bruce Bochy did not. He is fortunate that circumstances bailed him out. As for Kershaw himself, yes, he’s having an “off year” by HIS measures, mainly due to lack of run-support, and a few more home run balls than he’s accustomed to giving up. But by any other measure, he is still an Ace-of-Spaces, even on a team WITH Zack Greinke. If past seasons are any indication, he will only get stronger as the summer goes on. 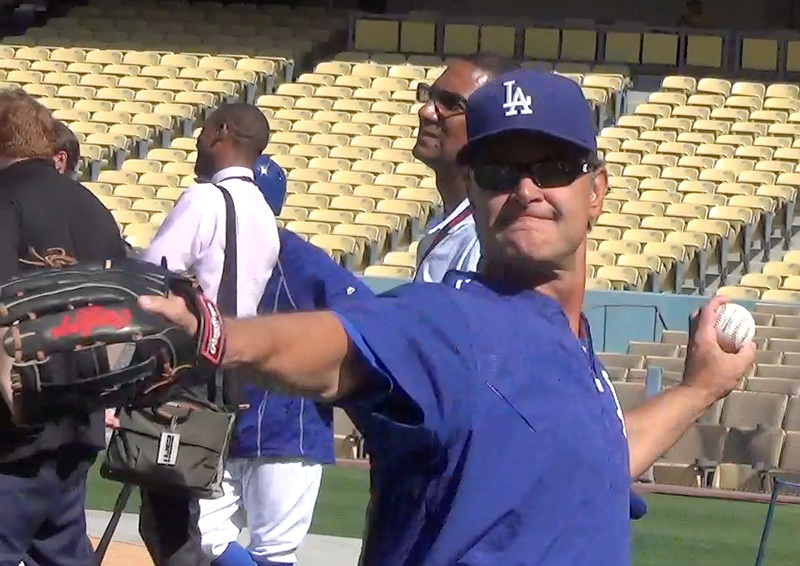 The fact is, Mattingly will never be Joe Maddon. But he has always been a high character guy, demanding the best effort from his players while simulataneously supporting them when they give it. He has navigated through ownership scandals, players demanding more playing time, and various other personnel conflicts. We will see what the rest of the season brings, but so far, he has been the right man for this team, and his selection is well deserved. With Bud Selig now retired, we hope that we will be able to retire the “This-Time-It-Counts” silliness after this year, as well. But while it’s still with us, let’s also hope that at least this time around, the cause that Greinke, Kershaw and everyone else will be contributing to, will ultimately be their own this October.